Charged meals are allowed up to a negative $8.55 balance, the value of three lunch meals. Charging privileges are suspended beginning the first Friday in May through the end of school year so that accounts can be brought current. Meal charges are not allowed in grades 6th-12th. Note: Students are not allowed to purchase a la carte items (bottled beverages, milk, extra entrees, snack items, etc.) when their account is in the negative. An alternate sack lunch meal consisting of a sandwich, vegetable, fruit and milk is offered at no cost when a student’s account cannot cover the cost of their meal. A maximum of 10 alternate sack lunches will be offered. There are no alternate breakfast meals offered. There are a number of measures in place for all schools to prevent students and families from experiencing negative meal account balances, which include verbal reminders, low balance letters, and auto calls. MyPaymentsPlus – Food and Nutrition Services offers an online system for families to check balances and make payments. Bring Payment – Students may purchase a reimbursable meal with cash or check at the time the meal is served. Free- & Reduced-Price Meal Application – available for completion for meal benefits all year. 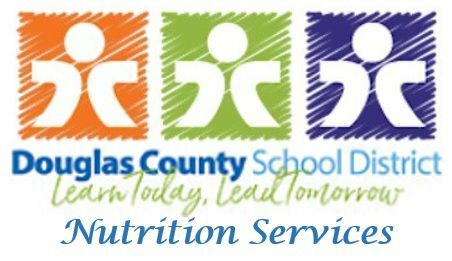 The form may be accessed through the district’s website by clicking here: Free & Reduced Meals. Printed copies are available at every school and from the Food & Nutrition Services Office located at 809 Quail Street, Building 1, Lakewood, CO 80215. Delinquent Debt – As defined by USDA, delinquent debt includes unpaid meal charges that are considered collectible, and efforts are being made to collect them. Delinquent debt, or a negative balance, remains on the accounting documents (accounts receivable) until it is collected. For a complete Meal Charge Procedure, click here.